Our goal is to connect people with the best local experts. We scored plumbers on more than 25 variables across five categories, and analysed the results to give you a hand-picked list of the best plumbers in Palo Alto, CA. Commando Plumbing is a full service plumbing company serving home and business owners in Redwood City. They are fully licensed, bonded, and insured and have over twenty years of experience satisfying their customers. Customer service is as important to Commando Plumbing as well as quality service. They remain up-to-date and educated on the latest practices and procedures to provide their clients with the highest quality service available. 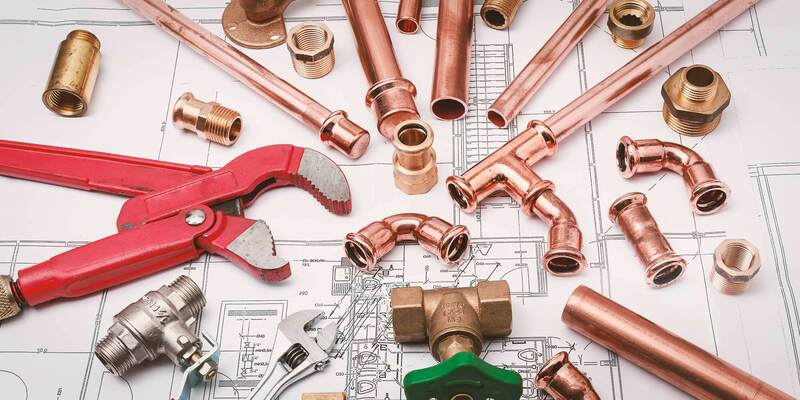 Not only will they find the right parts for any plumbing system, but they also have the ability to fabricate parts for older systems whose parts are no longer on the market. They offer discounts for all military and veterans. Disc0unt Plumbing & Rooter Co is a Palo Alto business that has been serving customers for over 16 years. The business’ service area includes Burlingame, Menlo Park, South San Francisco, Los Gatos, Santa Clara, Portola Valley, San Carlos, San Mateo, Saratoga, Millbrae, Sunnyvale, Belmont, Mountain View, Campbell, Redwood City, Stanford, Atherton, Daly City, Los Altos, Alviso, and other areas. Services include drain clog clearing, sewer main clearing, sump pump repair, and water removal recovery. The plumbers are licensed, bonded, and insured. The business provides service in English and Spanish. Disc0unt Plumbing & Rooter Co is accredited by the Better Business Bureau and has an A+ rating. The business is HomeAdvisor Screened & Approved and is a HomeAdvisor Elite Service Professional. Economy Rooter is a family-owned and operated plumbing business. The company has over a decade of experience and serves San Jose and the surrounding area. Economy Rooter offers sewer and drain cleaning and repair, garbage disposal repair, remodeling services, drain hydro flush services, bathroom and kitchen repair, water heater repair, and re-piping. The business is available 24 hours a day, seven days a week for emergency plumbing repair for residential, commercial, and industrial customers. Customers recommend them for their "affordable and very efficient" work, as well as their excellent customer service. The company offers an experienced staff, excellent service, and state of the art technology and equipment, and they are licensed and insured. Discounts are available on the Economy Rooter website. The Farwest Plumbing Company has been serving the Los Altos community with its plumbing needs for over 15 years. The customer-centric group is licensed, bonded, and insured and aims to build long-lasting relationships with all clients via services for backflow preventers, sewer line work, bathroom fixtures, sump pumps, water heaters, water purification, shut-off valves, underground pipes, and drains. Green products are also available along with code violation corrections. The owner has been working in plumbing for almost 30 years, performs all work himself, and caters to plumbing needs for residential, commercial, and industrial properties. Parties interested in further information on the company and its services can phone or email the group for questions, pricing, bids, and references from past clients, and military and teachers receive discounts. On Time Plumbing concentrates on providing outstanding customer-focused service that meets a range of needs. The Mountain View-area experts specialize in providing prompt, competent residential plumbing services at affordable prices. The family-owned business delivers a range of effective solutions to plumbing issues involving drain cleaning, water heaters, faucets, fixtures, kitchen disposals, drain clog clearing, sewer main line clearing, and much more. Customers can enjoy peace of mind knowing that the professionals at On Time Plumbing maintain the necessary licensure, bonding, and insurance to perform services in the safest, most efficient manner possible. The business makes quality a top priority by employing industry-certified master plumbers with more than a decade of experience to perform a range of specialty services like troubleshooting hidden leaks and clogs.